HBO sure knows how to time a Blu-ray release. They knew that their 2017 mini-series would end up being a major Emmy nominee and so timed it to drop on DVD and BD just after the Academy's nominations. They were right. 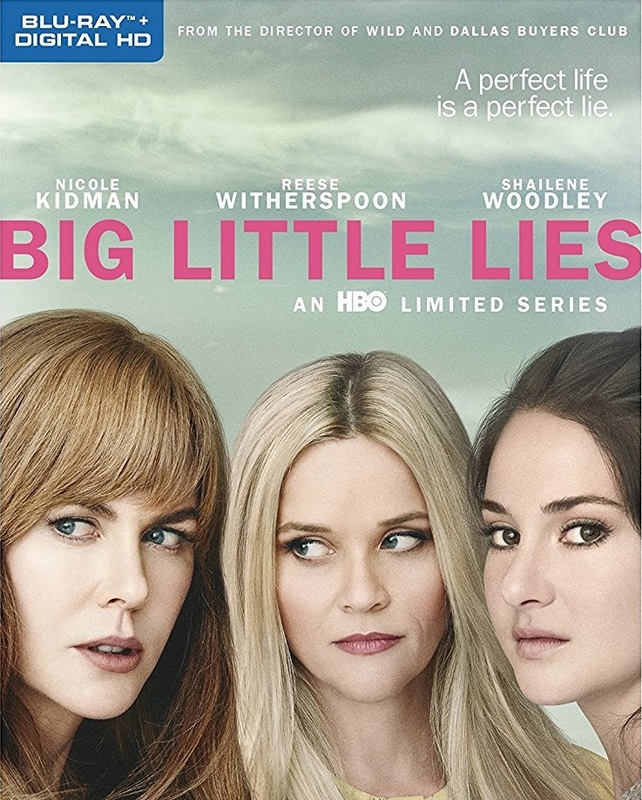 Five of the cast members here - Reese Witherspoon, Nicole Kidman, Laura Dern, Alexander Skarsgard and Shailene Woodley - will compete for trophies and the series is up for just another 11 nominations on top of that. It's a deserving wave of accolades for one of the best television events of the year to date, the kind of thing that would play in the Oscar race were it released in theaters. Personally, I'm rooting strongly for Kidman, who does some of the best work of her notable career. You need to see this if just for her unforgettable performance. 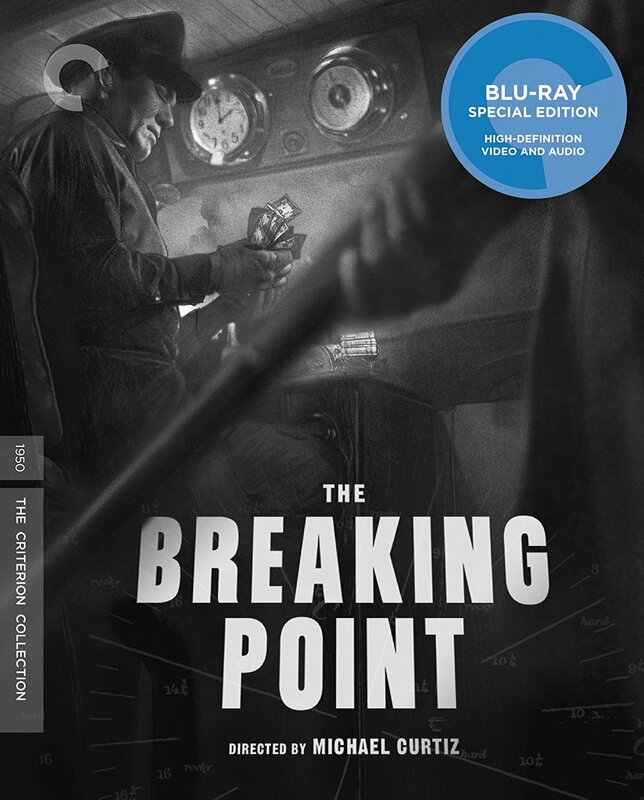 Just six years after the success of "To Have and Have Not," Hollywood went back to the same source material and adapted Ernest Hemingway's book far more faithfully in this remarkable drama/noir from director Michael Curtiz, starring a perfect John Garfield and Patricia Neal. History may turn to the Hawks film first, but this is a fantastic piece of filmmaking, a perfectly modulated story of a man drawn into a trap by desperation and bad luck. Garfield, giving one of his best performances, is convinced to start running illegal immigrants to save his failing sport-fishing business. Things go bad from there. As usual, the Criterion transfer is stellar, as is a video essay that analyzes Curtiz's methods. Also fun is a bit from a 1962 episode of "Today" about Hemingway. Only Criterion includes archival material like this. It's one of the reasons they're so important to your film library. Nacho Vigalondo's biggest film to date is also arguably his most ambitious, and the originality of the entire piece goes a long way in allowing one to overlook the flaws of the final product. Anne Hathaway plays an alcoholic who goes home after breaking up with her boyfriend, played by Dan Stevens. While in her hometown, she gets a job at a bar owned by an old acquaintance, played by Jason Sudeikis. Oh, did I mention the Godzilla-esque monster destroying Seoul? It turns out that she's in control of a mysterious creature wreaking havoc on the South Korean metropolis. Vigalondo merges a "you can't go home again" story with one of addiction with the genre of monster movies, and the result is ... something. I'm not sure the whole piece comes together quite as much as some of my colleagues seem to think but there's a lot to like here in the effort, as well as a very effective performance by Sudeikis. Azazel Jacobs' drama is a wonderful opportunity to appreciate the acting skills of Tracy Letts and Debra Winger, both phenomenal in this "re-fidelity" comedy about a married couple who end up "cheating" on their lovers with each other, if that makes sense. Just as Letts and Winger's marriage appears about to end, they find themselves getting away from their increasingly dull affairs to find time with each other instead. "The Lovers" takes a bit too long to get going but writer/director Jacobs makes a lot of smart, mature decisions here, including just getting out of Letts and Winger's way and allowing them to do what they do so well while never encouraging the piece to cross into the slapstick it could easily have become. 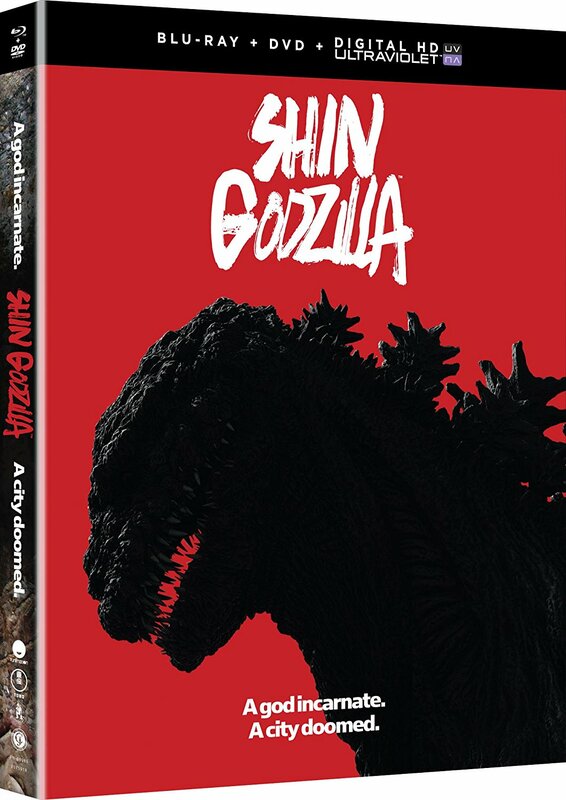 I just caught up with the latest hit "Godzilla" movie at Fantasia Fest last month but it's already hitting Blu-ray and DVD stateside. Sadly, the Blu-ray doesn't include much in the way of special features, and the rumor is that the Japanese edition does offer quite a bit in that department. While I wish that material could have been imported, it's fun to just be able to revisit this incredibly enjoyable movie from time to time, appreciating its balance of larger-than-life spectacle and Sorkin-esque examination of impotent bureaucracy. There's nothing like seeing "Shin Godzilla" in a crowd of loyal genre festival fans, but this is the next best thing. Just about nobody saw "Slither" in theaters. It reportedly lost money when it was first released, and could have easily disappeared into movie history, but Scream Factory has fished this now-cult-hit out of potential obscurity and treated it like an acknowledged classic. One of the reasons "Slither" has held up is that it stars a pre-fame Elizabeth Banks, a pre-"Castle" Nathan Fillion, and was written and directed by James Gunn, who would go on to direct a little movie called "Guardians of the Galaxy," and its sequel. It's also just a damn fun horror movie, probably even better than you remember. And Scream Factory gives it a lavish collector's edition treatment here, including two audio commentaries, deleted scenes, and great packaging. "Bringing Slither's Creatures to Life"
Making of "The Sick Minds and Slimy Days of Slither"
Another pair of Scream/Shout Factory Collector's Editions this week pay homage to a pair of '80s classics. Well, one classic and its sequel. The Michael J. Fox horror-comedy "Teen Wolf" was something of a phenomenon for those of us of the right age when it came out in late summer 1985. "Back to the Future" had opened only the month earlier and was still tearing up the box office charts, and "Family Ties" was still gigantic on NBC. Michael J. Fox was the king of the world, especially for a pre-teen kid like me. Looking back on "Teen Wolf" now is kinda funny, especially the realization that critics HATED it (25 on Metacritic and Vincent Canby calling it "aggressively boring"). It makes one wonder what critically-loathed films from 2017 will be getting the Collector's Edition treatment in 2047. As for "Teen Wolf Too," the less said the better beyond "huh, Jason Bateman." "Never.Say.Die. The Story of Teen Wolf"